On Friday, I viewed the funeral procession for Muhammad Ali live on ESPN. Ali spent the last decade planning his funeral, and I must say it was everything that he represented. His final ride through his hometown, and finally resting at Cave Hill Cemetery in Louisville, Kentucky left everyone in awe. Storytelling is great because I believe they are our way to keep those special moments/memories alive. It seems as though the best stories are always told once a person has transitioned from mortal to immortal. Over the past week on social media, and through various interviews the world was able to express their special memories of Muhammad Ali. Especially the classic line from one of my favorite movies, “His mama named him Clay, umma call him Clay.” Can you guess the movie? Lol. 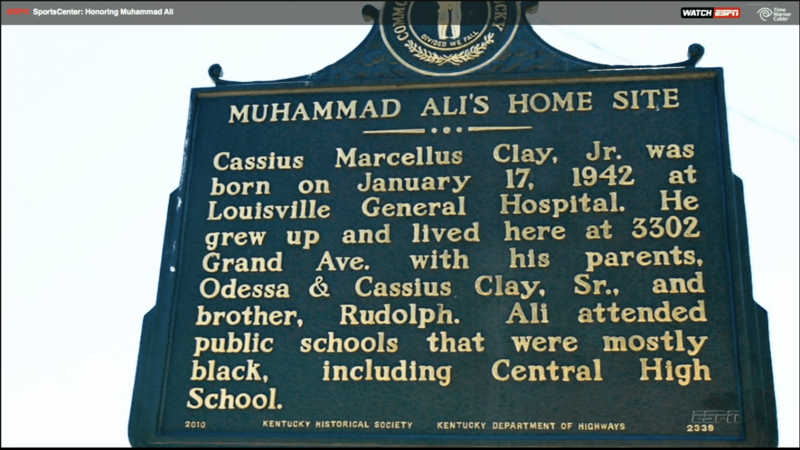 I was able to meet Ali when he resided in a neighboring town when I was a little girl. My memory was when he singled my sister and I out to come and greet him at the Berrien County Youth Fair. One of those, “who me?” moments. Out of all the people walking around at the fair he wanted to greet us. It gives me goosebumps just thinking about it. To so many people he was a legend, I mean seriously he was the greatest to ever do it, but he was truly a gentle giant. Ali was unafraid and unapologetic. He believed in equality and justice, both in and out of the boxing ring. He didn’t care about your religious background, color, or any other preference. He just wanted everyone to be treated fairly. After the tragic event that occurred in Orlando over the weekend I think it’s time that we ALL take a long look in the mirror. Love on ourselves and each other. Remind ourselves that we are the greatest. You are the best possible you that only YOU CAN BE! In this moment, you are striving to live a better life and don’t apologize for being you. Daily we strive to be more Christ like, and we also fail in many areas but the main thing is that we keep trying. We can never be the GREATEST person that ever walked this earth, but we can sure try to be the greatest version of ourselves. Peddle Forward? Backward? Or Both?